(EurActiv) — European Commission President Jean-Claude Juncker sees no need for “contingency planning” regarding the French presidential election, as the EU is strong enough to survive even if the Eurosceptic candidate wins, his spokesperson said Friday. Asked if the EU executive was preparing for a possible ‘Frexit’ following the election, the first round of which is on Sunday (23 April) with the runoff taking place on 7 May, Commission Deputy Chief Spokesperson Mina Andreeva said there was no reason for contingency planning. She mentioned Juncker’s “love for elections”, and that the French election was “another opportunity for democracy”. The EU is strong enough to survive even if the Eurosceptic candidate would win the election, Andreeva said. She added that Juncker would want the pro-European forces to have the upper hand but ultimately the French electorate will decide. Asked if Juncker believed that the EU can survive if Marine Le Pen becomes president of France, she quoted an interview Juncker gave to the German weekly Welt am Sonntag on 19 March: “If Marine Le Pen would win the election, it would not be the end of the European project”. The Commission president view appears to contrast with those of other leaders, including French Commissioner Pierre Moscovici who said that electing Marine Le Pen and leaving the EU would deal a fatal blow to the European project. Le Pen has said herself the EU will die “because the people do not want it anymore”. Technically it would not be easy for France to leave the EU, even if Le Pen wins. Unlike Britain, France has a written constitution that states “the Republic is part of the European Union”. So a “Frexit” would require a constitutional change which experts say is difficult, but not impossible. 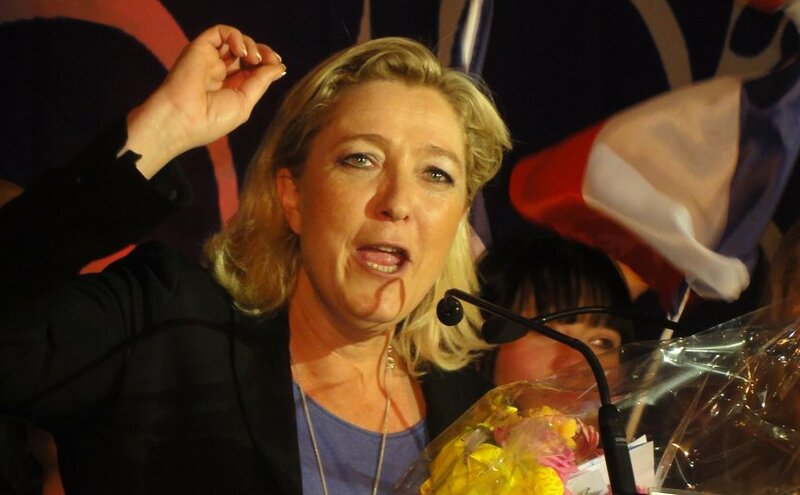 During her campaign, Le Pen has promised to seek revised terms for France’s EU membership, and then ask in a referendum if voters want to leave. France’s constitution says that proposed laws on the organisation of state powers, reforms relating to economic, social and environmental policy, or a request for authority to ratify a treaty can be decided by referendums. But it stops short of providing the power to withdraw France from an existing international agreement. Consequently, if a government or a president wants France to get out of the EU, the constitution would have to be modified. Article 89 of the constitution says that any such change must first be approved by the National Assembly and the Senate. Then, a president can either put it to a referendum, or seek approval from a three-fifths majority in Congress – a combined sitting of both houses of parliament. That could be a long shot even for ‘President Le Pen’. But the eventuality that she would win would have a psychological effect in the entire EU, leading to the unravelling of the European project. Pundits in the Brussels bubble assume that even if Le Pen wins the first round on 23 April, she would be beaten in the runoff, as many voters would back her likely opponent, Emmanuel Macron. If Le Pen wins, the constitution will be put to change by populace & Le Pen demand and vote. Junker will change his tune faster than a cobra can strike. Not that he is a cobra. Junker is an “eeking” mouse. If Le Pen then constitution then – well, buy earplugs for Junker’s rants at UK will be soundless next to his France primal scream.